I've been reading up on how to make for ex. Youtube play sound to all my speakers. 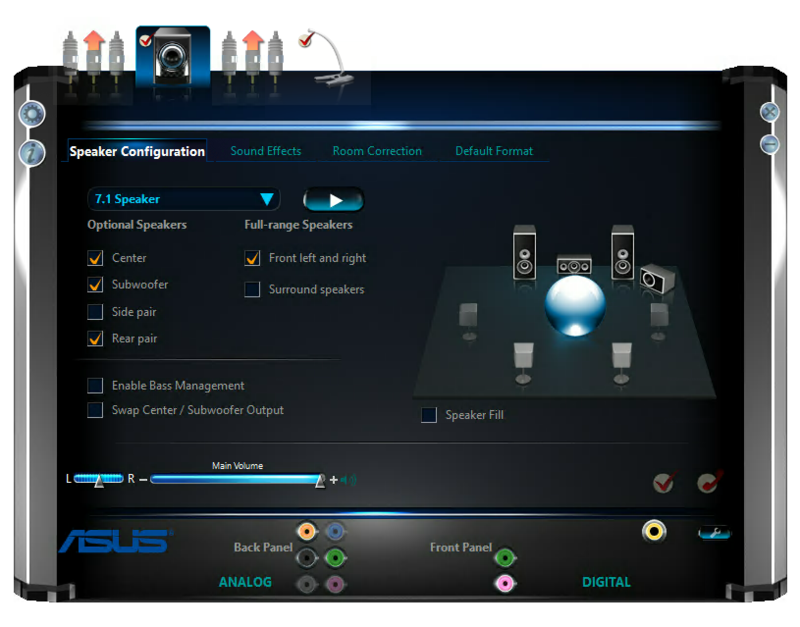 I have 5.1 Setup from Samsung which connects with an optical cable to my onboard Realtek soundcard. 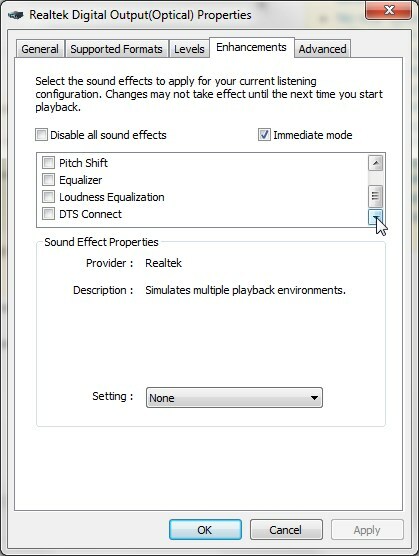 Latest drivers did not produce a speaker fill option in the sound proprieties. Please give me some ideas on how to play Youtube on at least 4 of the 5 speakers with the same power. Get the 'proper' drivers directly from Reatek which will give you all the options back, including a full 5/7.1 setup page with customisable delays & EQ. I had the exact same issue, and I tried many driver versions from Realtek website, but none of them worked. the only solution was to use Driver Pack. then, I got a working driver with "Speaker Fill" option. Notice - DRP installs few additional software (Anti virus, Notifier, etc). just make sure to uncheck whatever software you don't want to install. Not the answer you're looking for? 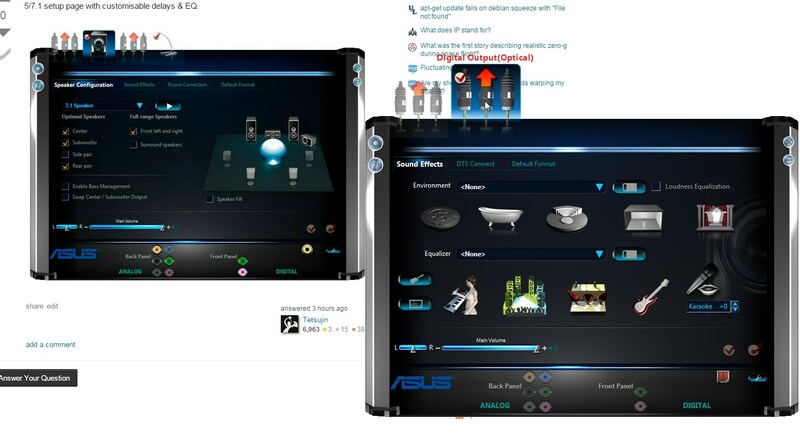 Browse other questions tagged windows-7 audio drivers speakers or ask your own question. 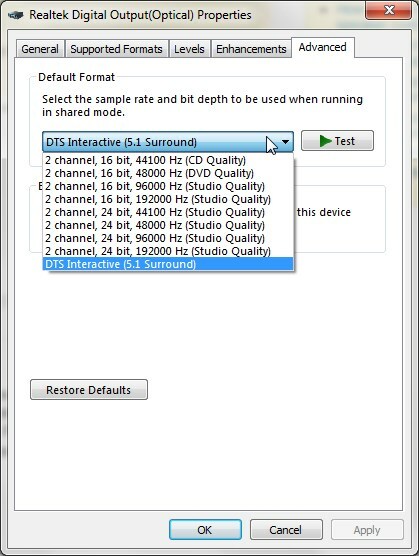 Stereo sound through whole 5.1 speaker set - is it possible with WinXP or 7?